When looking for a specific training course for staff at your out of school club, as a first step it is a good idea to contact the Early Years & Childcare service for your local authority. They should be able to advise you about the courses available in your area. Courses organised by the local authority are often heavily subsidised and bursaries to cover the cost of attending the training (eg to fund cover staff) are sometimes available. For those who want to organise their own training, we have put together the following list of training providers. Please help us to make this list more comprehensive by recommending training providers that you have used. Please email your suggestions to info@oosa.co.uk. Distance learning courses for a wide range of childcare and playwork qualifications. The Childcare Company is a Matrix accredited online training provider specialising in apprenticeships. Provides Level 2 and Level 3 Childcare courses as well as a range of business qualifications. Offers a CACHE Level 2 Certificate in Children's Care, Learning and Development as a distance learning course. This course is notable in that it does not require a formal placement in a childcare setting. JACE offers work-based learning qualifications in childcare and playwork across London and the South East. Offers a wide range of learning opportunities for people looking to begin or progress their career in childcare, including the CACHE Award in Playwork for Early Years Workers. Offers flexible training for graduates interested in becoming Early Years Professionals. Offers training in the Common Core of Skills and Knowledge as an online course. First aid training at various venues around the country. Provides a wide range of first aid courses, and first aid instructor training. Delivers regular classes in first aid at its training centre in Balham, London. 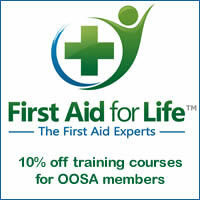 Also runs in-house first aid training courses. They offer a 10% discount to OOSA members. Hold paediatric first aid courses in the Warwickshire, Worcestershire, Birmigham and Coventry areas, and can deliver the courses on-site across the Midlands. They offer a reduced price to OOSA members. Runs child protection courses at its Leicester training centre, and has some distance learning training packs. Now offers a wide range of online courses in child protection through their Safeguarding Children e-academy. Have two 2-hour courses: Basic Safeguarding and Safeguarding in Practice, run from various centres in the Midlands. 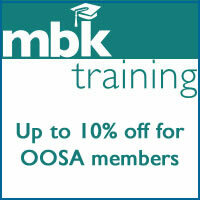 OOSA members can enjoy a 10% discount. Offers a variety of online safeguarding courses, including Level 1, Level 2, Designated Person, and refresher courses. The CIEH has a useful 'course finder' tool for finding food handling and hygiene courses in your local area. Provides online training courses in Food Safety and Hygiene. Provides a basic food hygiene course in Warwickshire and at sites across the Midlands. Members of the Out of School Alliance can claim a 10% discount on the standard price. Runs training courses on their innovative educational approach to outdoor play and learning. Runs courses and workshops in Scotland, Wales, North East England and South East England on topics such as outdoor play, risk, den building, and forest school leadership. The training department at KIDS offers a range of e-learning courses to playwork and childcare professionals who wish to include disabled children within their mainstream settings. Reach4Skills offers a selection of online CPD courses, covering topics such as understanding autism, team leading, equality and diversity, etc. Most of these courses are available fully funded for eligible learners.